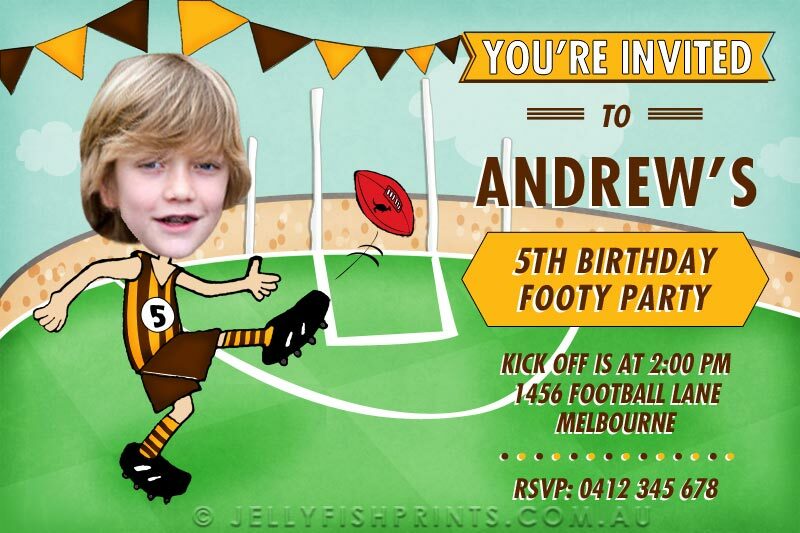 It’s the middle of the 2014 footy season and we have created some free AFL themed football cake topper banners for those little Aussie Rules fans that will be celebrating their birthday footy styles. There are 18 different cake banners in total that you can choose from. One for each of the competing teams vying for the coveted number 1 spot in the Australian competition. 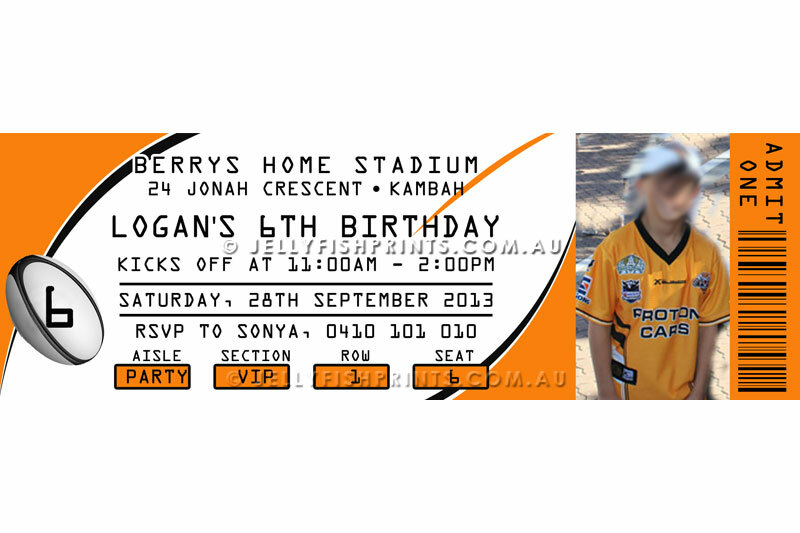 Look for the banner matching your favourite AFL team. 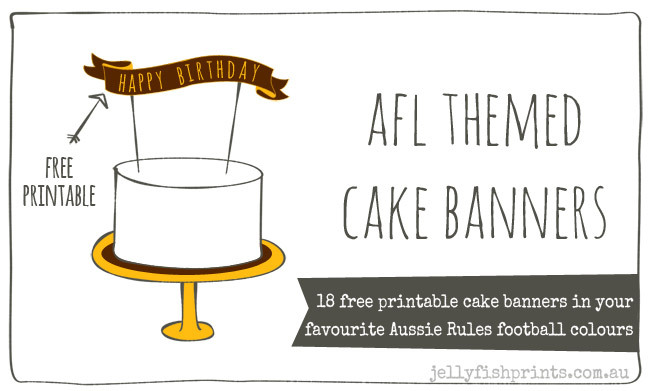 Of course you don’t have to be a AFL footy fan to take advantage of these free printables. It was brought to my attention that the red and white banner inspired by the Sydney Swans can also be used for a St George, Illawarra Dragons theme as well. 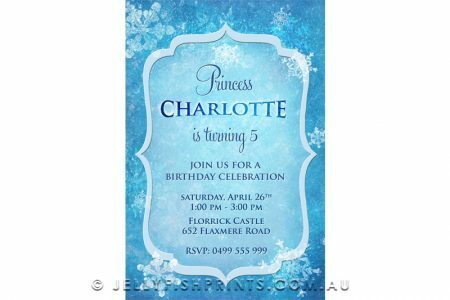 So if you are able to find a banner that matches your party theme then you are more than welcome to utilise these free printables. 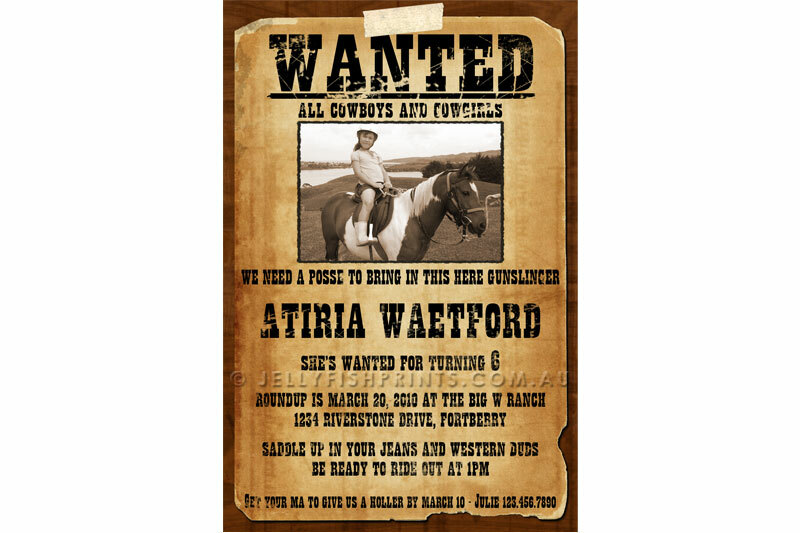 They are very easy to assemble and once you have printed the desired template page you will only need a pair of scissors, a couple of skewers or paper drinking straws and some some tape. Easiest football cake topper decoration ever. Oh, and make sure you have a cake! Print only the page that your chosen banner appears on. Select the page number you require from your printer settings. On your cake, carefully place your two skewers (or fancy drinking straws) into the cake where you want them to go. Adhere the banner to the skewers with a bit of clear tape. Have fun making these fun and easy football cake topper decorations. 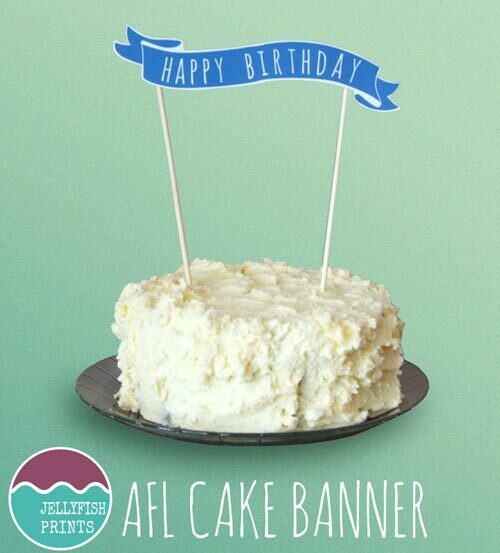 We’d love to see a pic of your cake with our banners. In the meantime, I’ll leave you with a pic of a yummy chocolate-vanilla birthday cake smothered in buttercream icing topped with a Kangaroos themed banner.